Give Magento a boost with MCorner Full Cache extension. With the MCorner Full Cache extension, benefits on a magento ecommerce store are between 25% – 40%. Our full cache extension minimizes server requests and memory usage to decrease server loads. Increased site speed, increases visitors and SEO ranking. 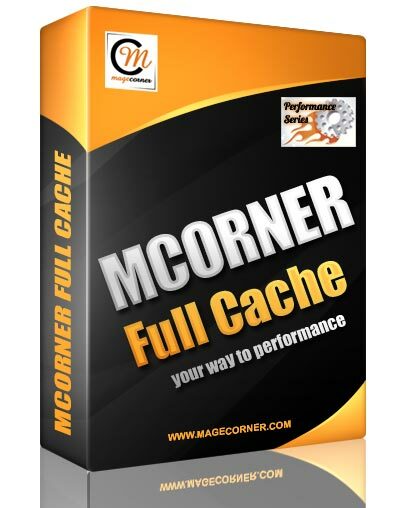 Look to adding APC cache with MCorner Full Cache and you will get an additional performance benefit of 10% – 20%. Do you need help with your Magento ecommerce setup? Want to increase performance? MageCorner can help you with all your Magento configuration.